This adapter allows using Canon EF,EF-S,Sigma EF mount,Tamron EF mount lenses on new Nikon Z mount fullframe cameras, and even has full working autofocus functions. 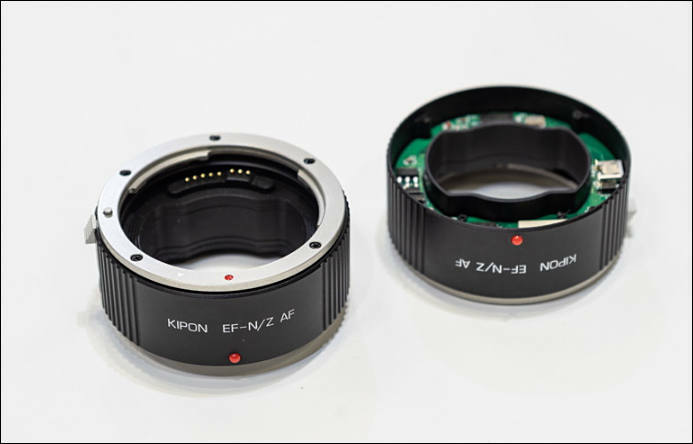 Kipon have unveiled the World's first "CANIKON" autofocus adapter, which will be exhibited at the CP+ 2019 show in Japan this week (starts 28th February). This adapter will allow Canon EF, EF-S, Sigma EF mount and Tamron EF mount lenses to be mounted on the new Nikon Z mount full-frame mirrorless cameras, complete with autofocusing.